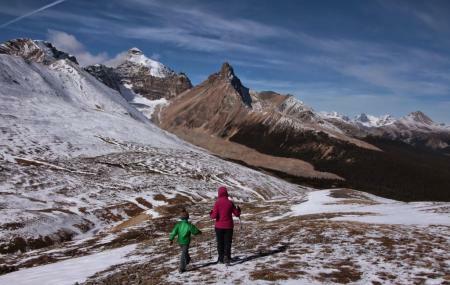 The Parker Ridge is a popular hiking Trail located in Banff national park.The tall snow covered peaks with a dense green valley that looks after grizzly bears and various other species contribute to making this area the ‘hiking capital’ of Canada. At the venue you will have a map of the many hiking trails with descriptions so it becomes easier to choose a trail most suited to you and your fellow mates. Carry a bottle of water to keep you from getting dehydrated. The weather tends to surprise you with change as you go higher. How popular is Parker Ridge Trail? People normally club together Banff National Park and Vermilion Lakes while planning their visit to Parker Ridge Trail.